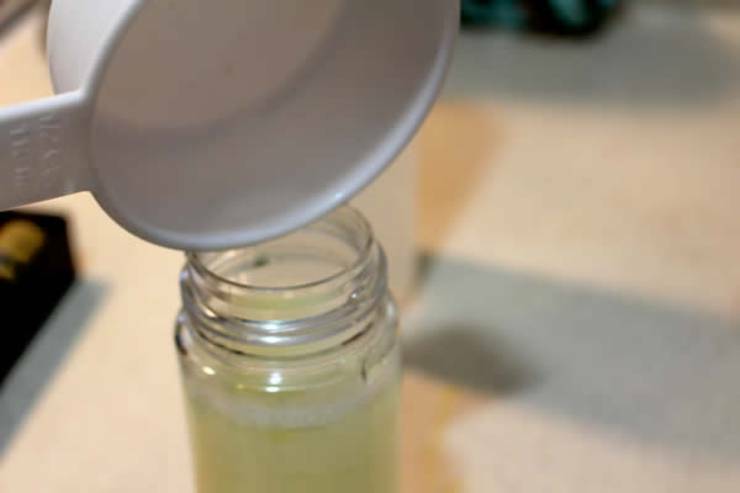 AMAZING homemade liquid hand soap to save money! 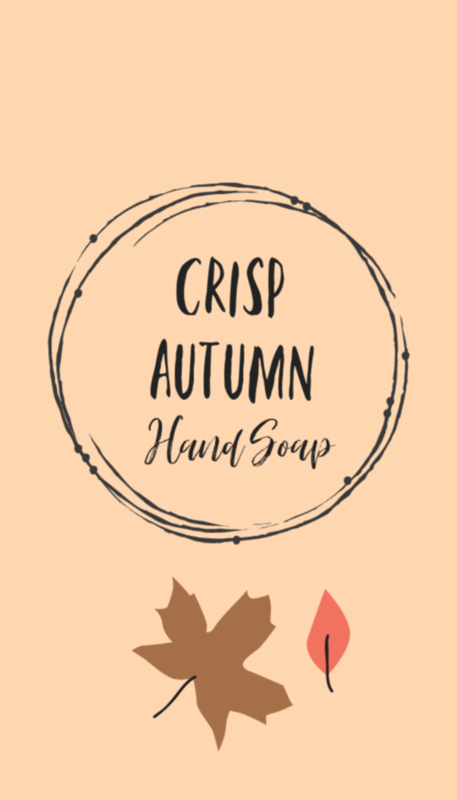 Clean those hands with this easy and simple DIY liquid hand soap recipe. Learn how to make homemade liquid hand soap that smells wonderful. 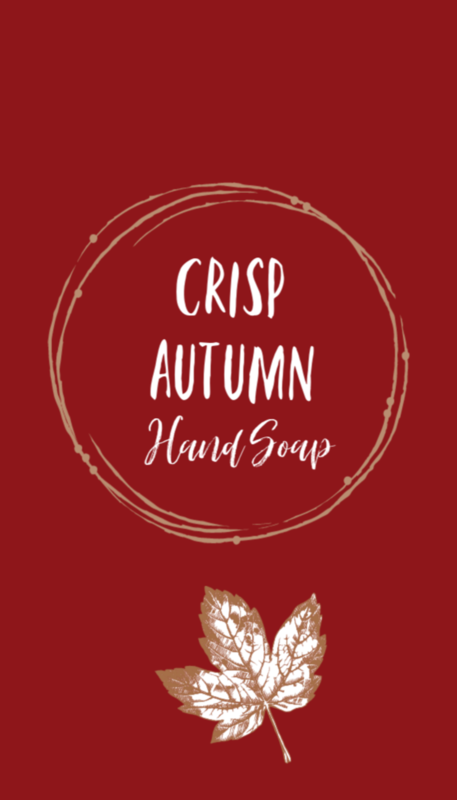 This soap has an Autumn crisp smell – great to have around for the Holidays (Thanksgiving & Christmas). 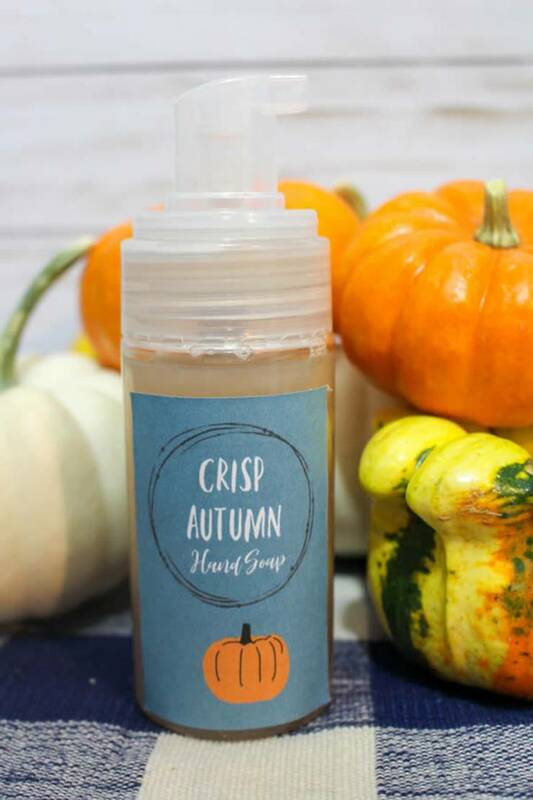 This soap can be used all year round – it smells that great! Do not spend money on store bought soap you can make this cheap and non toxic soap at home. 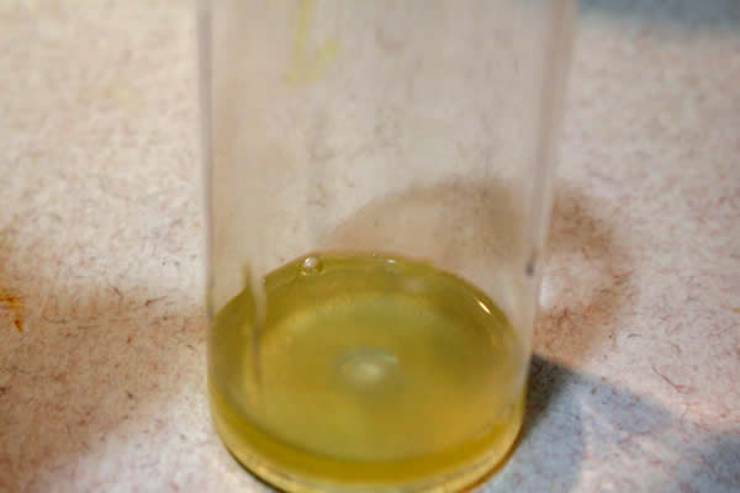 Make homemade liquid hand soap for pennies. Follow the step by step instructions for this frugal soap making tutorial. 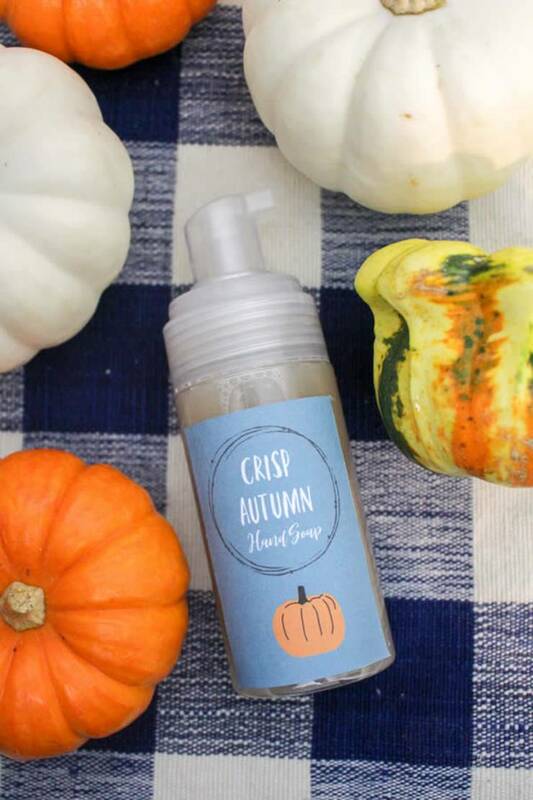 A great Fall DIY craft project for the home – bathroom or kitchen. These soaps also make great gift for family, friends, neighbors and co-workers. 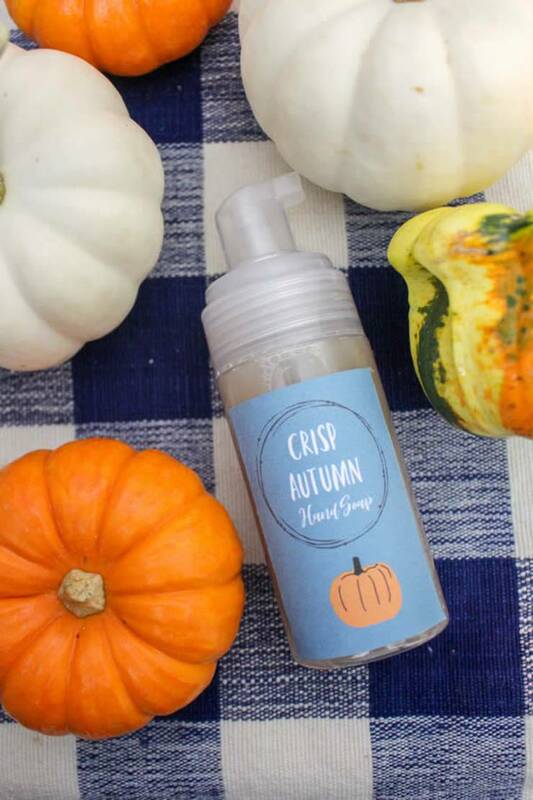 Grab the FREE printables for a cute tag or label for your soap bottle! Make Soap Extra Fun With These Items Handpicked By ME for YOU! For More Great DIY Soap Ideas Check These Out! 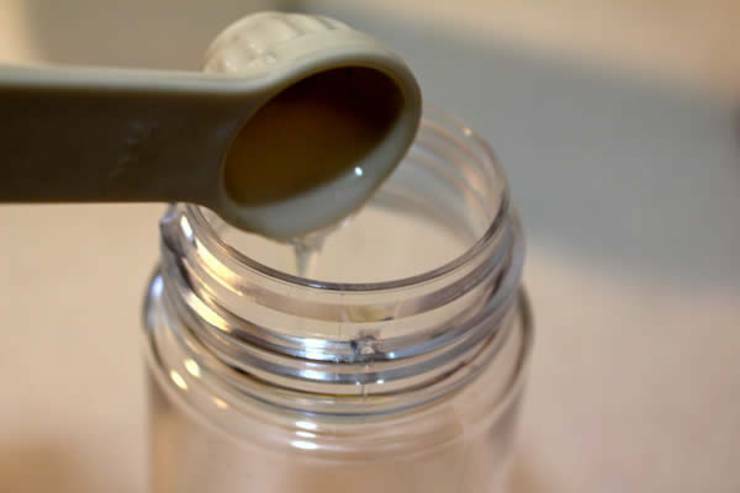 To fill up the soap bottle add equal parts Castile soap, vegetable glycerin and distilled water. Add the oils to the soap mixture. Shake bottle for 20 seconds to mix everything up completely. 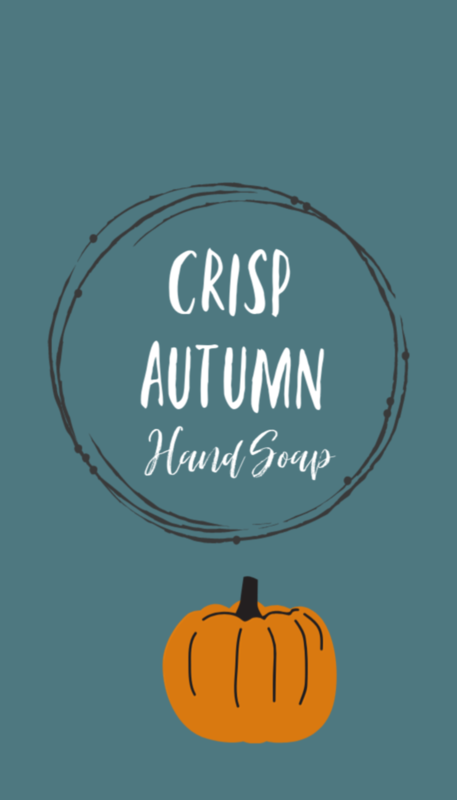 Use and enjoy the fall scents! essential oil orange essential oil and clove essential oil) but you can use any essential oils and create your own scent. 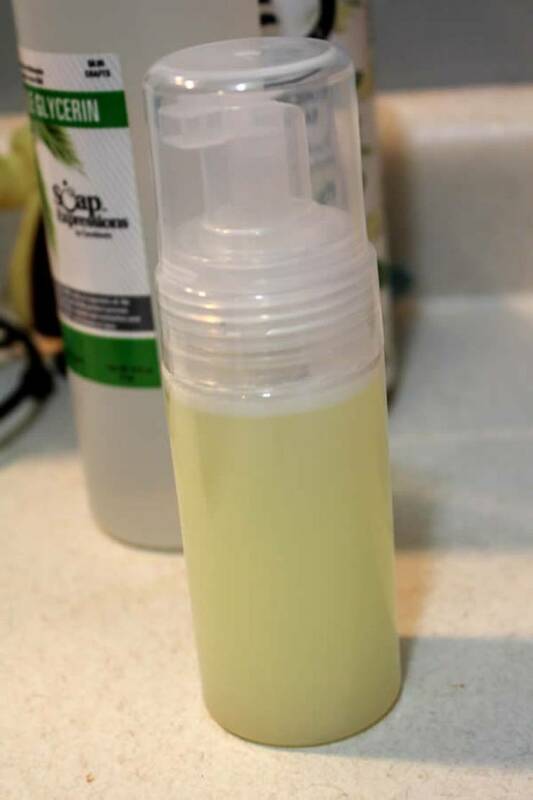 Here are some ideas people look for when trying to find a DIY liquid hand soap recipe: homemade foaming hand soap, homemade liquid soap from scratch, homemade liquid hand soap coconut oil, hand wash liquid soap formula, how to make liquid soap with glycerin, homemade liquid hand soap from bar soap, how to make liquid hand soap from scratch, homemade liquid hand soap with glycerin, castile liquid soap recipe, coconut oil bar soap. If you need more soap ideas you can check out Pinterest and find more tutorials for different types of soap. 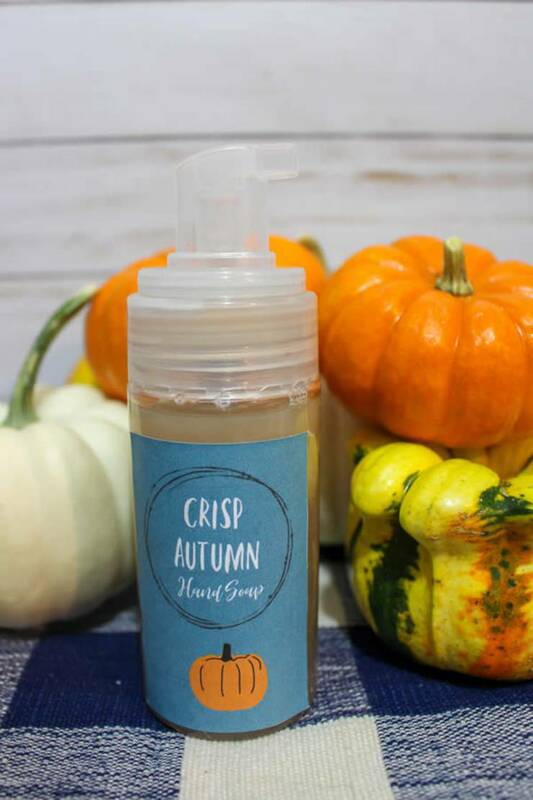 I hope you enjoyed this simple and easy homemade liquid hand soap. Stay Healthy!